Humanoid robot. 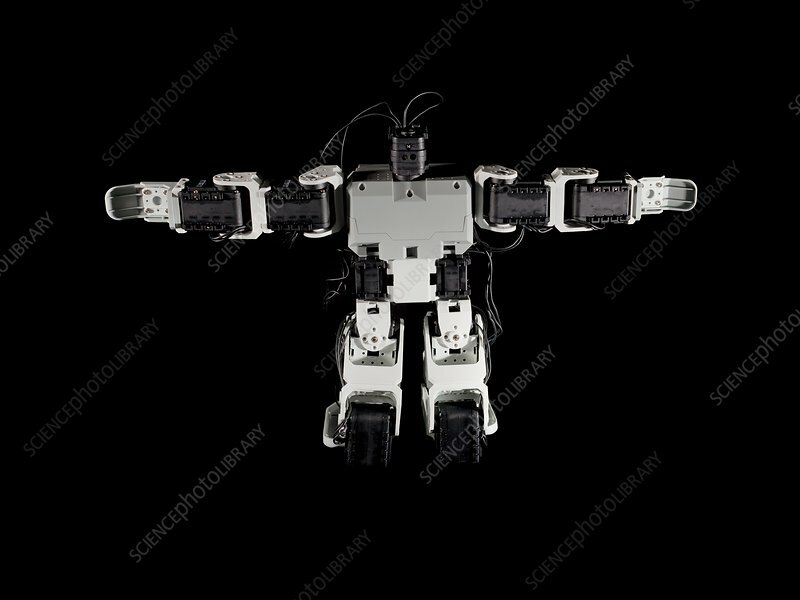 Basic humanoid robot used by robotics students. It features simple sensors and servomotors that provide a basic starter system for the student to design more complex devices. Miniature humanoids such as this model are used for the biennial RoboCup, a robot football tournament.